Engine: 305 TPI, 305 Carb-finally runs! Hi all, I was looking to get the Summit TPI cam for 86 and earlier engines, p/n SUM-G5000. 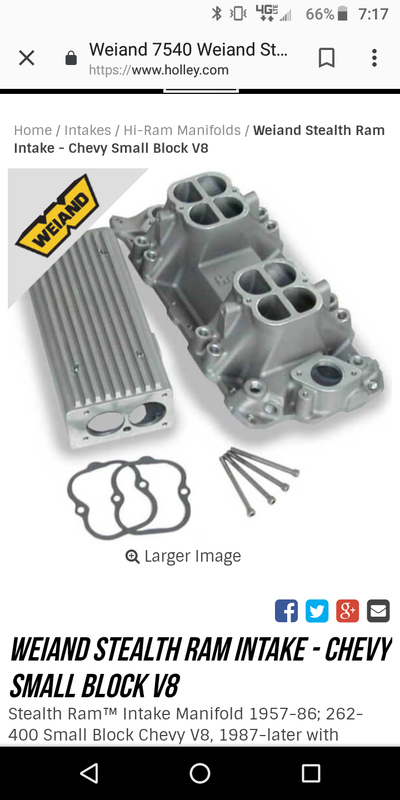 I did a search, and it sounds like it's a great cam for the price, and it comes with matching springs and all the lifters. I did a search and could only find topics from people who said they were in the process of putting one in, and I couldn't find any topics about what kind of performance increases they noticed. Also, i want a nice idle; something lopey so it sounds mean and cammed out, but not too overdone. Anyone install that cam and can give me their opinion? BTW, it's going in a 1985 305 TPI. I don't think it's much different than what's already in the 85 305s. The 85 TPI cars used a MUCH better cam than the 86-up 305s. In fact, it's almost identical to the cam used in the L98s. It's got a little bit more duration than an L98 cam (especially on the exhaust), more lift, and a tighter lobe separation angle. Had that cam in a GM LM1 (350 ci, 8.5/1 comp) carb'd crate eng, pulled to 4500 no problem so it should work well with a 305. Wow, super old post... but in case someone is searching. I too used this cam in my 86. When I broke my 305, this cam went in my 355. Good budget cam that I matched with 1.6 Roller Tip Rockers. I used the SLP runners, port matched the base/plenum to the runners (Siamesed the plenum to match), 58mm TB (why I don't know, seemed like a good idea back then), and a host of other mods. Full exhaust headers back, 2200 stall converter and shift kit, etc. Idle was barely different than stock. Powerband in this set up pulled steady to 4800-5000 RPM and could effectively pull to 5200 or so RPM in lower gears. With a 700R4/2.77 combo it would pull on the LT1's of the day. Which isn't a bad upgrade for a 305 86. Was a lot of fun. I miss that car. Sold it to get a TTA to rebuild, and the kid I sold it to got hit by a dump truck. He was fine, the car was toast. This is good this got brought back. I am looking to start to acquire parts for a similar build. Kyle, did you do heads ? Was the base you port matched stock? Did you port the plenum? I got a set of AS&M runners and going to port a plenum to match. I want a stock look so I did not get the SLP style. I was a broke high school kid working on a minimum wage budget then. 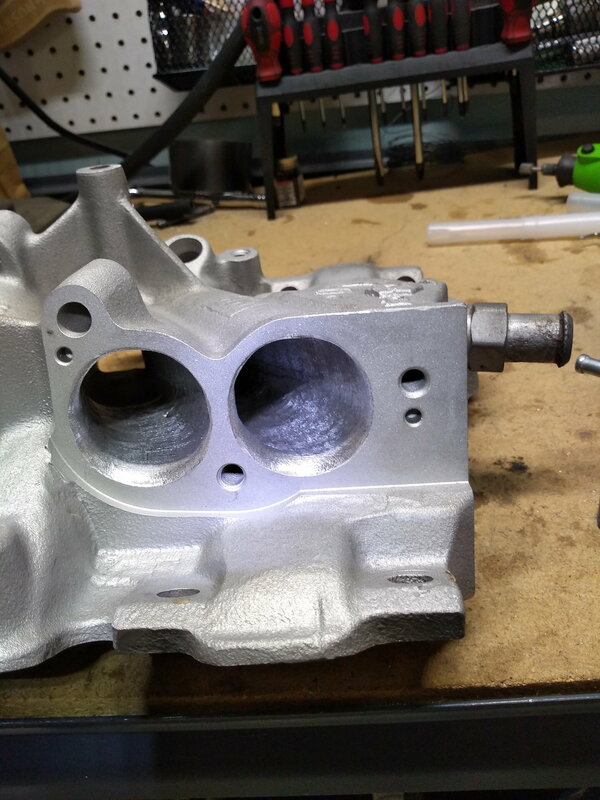 I found an old 350 2 bolt block with balancer at a local garage. Bought a crank kit from Parts America. Had the block cleaned, bored, honed, line bored, magnafluxed, and put the new crank kit it. my 305 spun a main, so the rods were good and got reused with new bearings and fasteners. New pistons and rings for .030 over. Heads were re-used from the 305. 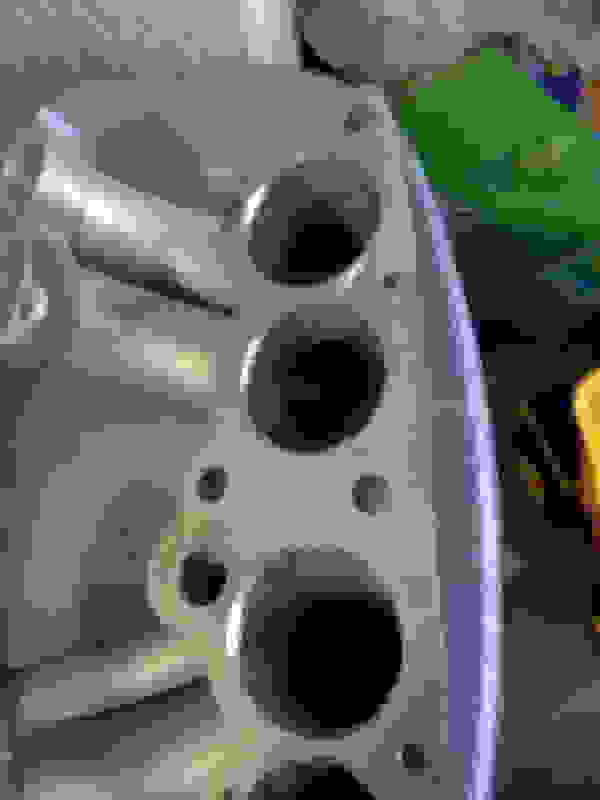 1.94 intake valves. They were "HO" heads and I really couldn't afford new. I re-used the springs and they already had the 1.6 Ratio roller tip rockers on them from a previous round of mods so they were re-used. Definitely like 93 octane the best. 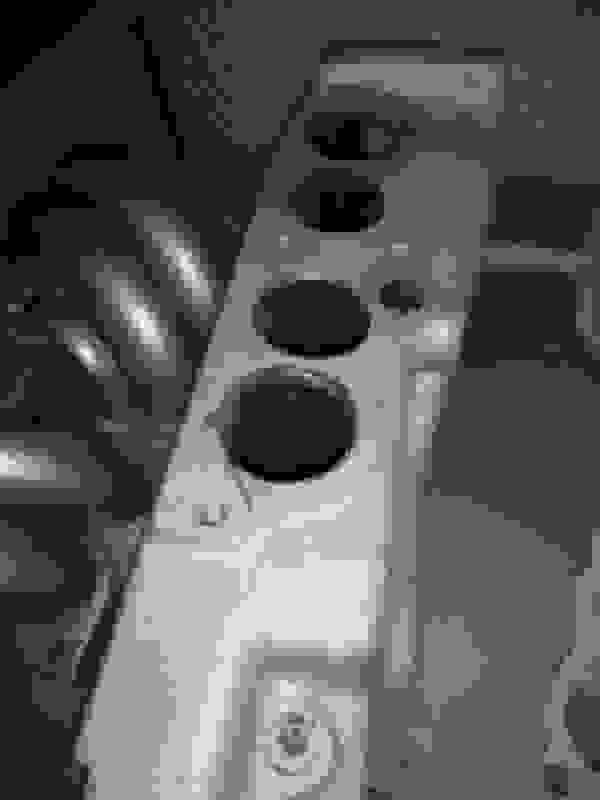 IIRC timing had the be set at 5* BTDC rather 6 to stop knock in upper RPMs under load. I never had the money to get the 9bolt gear swapped because I would have needed the ring/pinion/carrier and install kit and there was no way I had the tools to do it myself back in the day. I was saving for that when my engine let go beating a 5.0 Fox Body on high end. so the build as it sat. AC removed the right way including smooth panel on the firewall. Shorty headers, custom true Y pipe, 3" exhaust, American Thunder dual outlet Flowmaster. Summit Cam that matched SLPs or very close to it.1.6 Roller tip Rockers, 305 heads, 355 engine. 24# injectors, stock fuel pump. Under drive pulleys, MSD 6AL box, MSD coil in cap HEI, MSD Wires. SLP runners all port matched at the plenum and some blending to the base. 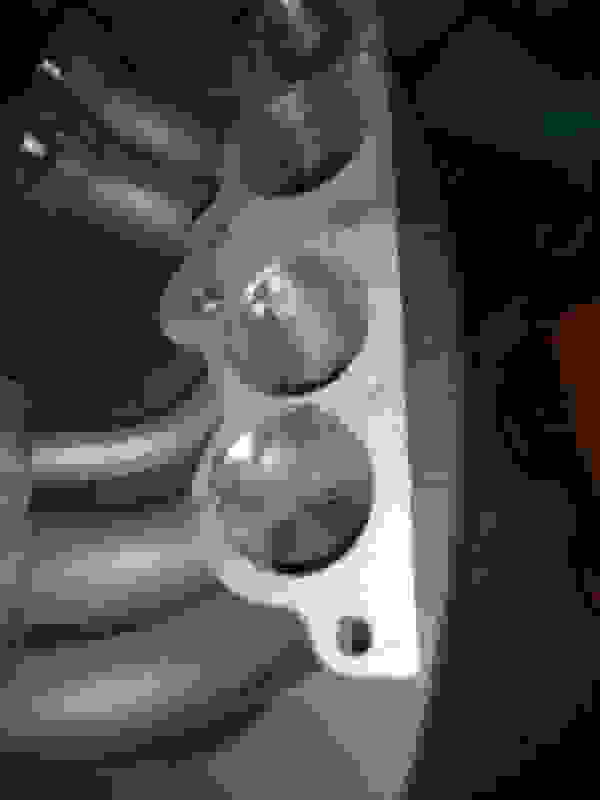 58mm BBK throttle body, AFPR, and I am sure I am missing something. Yes I gasket matched the throttle body as well. It ran great, but probably would have unlocked some extra power with a custom PROM... but that was the 90s and... well If we all knew then what we do now. I used the AFPR to get the mixture right. Believe it was lower than 43 we usually see, but I don't remember the actaual number. Probably should have used factory 22lbs. Is this a stock base you ported yourself? Nice work KenBob...you wouldn't want to sell one of those would you? I just picked up a brand new set of AS&M runners. I got a good condition used plenum I am going to port behind the TB and match up to the plenum, like you have pictured. No heads here. IDK $350?... I remember there used to be a guy on e-bay that would port the bases for about $225-$250 and you supplied your own base. I just need the base. I will measure the AS&M runners and give you the size of them, unless you have a pair there to use to match up. Awesome, I will pm you my e-mail and if you don't mind sending a pic to me when done that would be great. Thanks Kenbob! 2500 stall, needs trans cooler?